This may be the improvement batteries have needed for years. The Samsung Advanced Institute of Technology (SAIT) has developed new battery material, made from a “graphene ball,” which could potentially deliver charging speeds five times faster than today’s lithium ion batteries. Samsung announced the new material in a press release this past Wednesday, November 28. But just how fast is this new material? Well, in theory, this graphene ball material only needs about 12 minutes to achieve a hundred percent charge. But it shouldn’t come as a surprise that this breakthrough material comes from graphene. The 2D-material has long been regarded as a wonder material because of its combination of unique properties. Graphene, among other things, is strong, durable, and highly conductive. SAIT researchers, led by Son In-hyuk, developed a mechanism that allows for graphene to be mass synthesized into a 3D popcorn-like form using silica (SiO2). 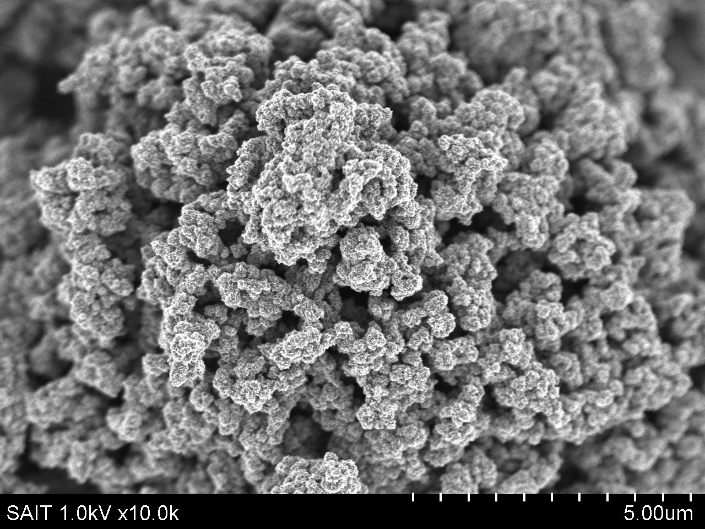 The graphene ball, in this technique, is applied to both the anode protective layers and the cathode materials in lithium-ion batteries. Samsung’s new battery material could be the breakthrough in battery technology that many have been waiting for, because the tech has essentially remained the same for several decades. Lithium-ion batteries power many of our devices, from smartphones and smart gadgets to electric vehicles (EVs). Batteries also play a crucial role in reimagining the energy grid. Together with increased capacity, faster charging time is one of the improvements that today’s batteries need. Aside from faster charging, batteries built from this graphene ball can maintain highly stable temperatures at 60-degrees Celsius, according to the SAIT researchers who published the details of their work in the journal Nature Communications. Such stable battery temperatures are crucial for EVs, Samsung explained.